Here's just a few of the creations I've made for other folks... what can I make for you? "Carin knit a heartwarming and incredibly cool pair of finger puppets (of her own creation, no less!) for my daughter: a dragon and a firebird. They will forever remain cherished childhood treasures!" - Ariana, St. Paul, MN. 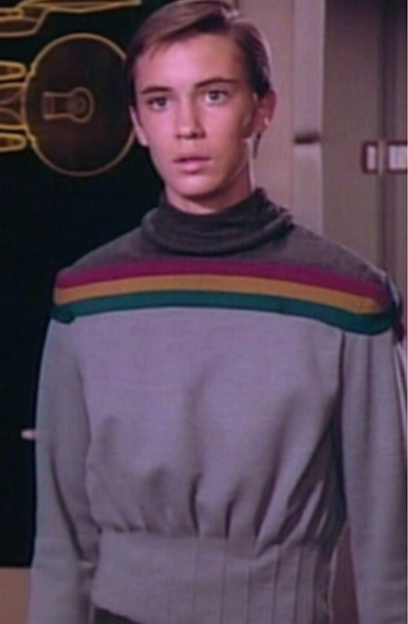 David wanted a special sweater for a friend's Chihuahua named Wesley, after Wesley Crusher from Star Trek Next Generation. 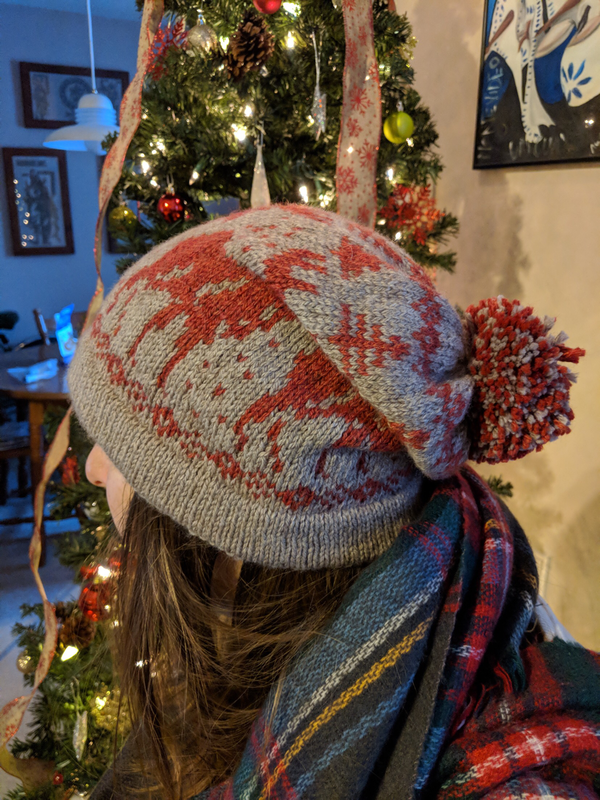 I've helped many families continue their holiday traditions by knitting them stockings that match the ones their grandmother knit them as a child. Here are some of my favorites! "I just received the stockings and am thrilled with the way they turned out. You did an exceptional job copying the pattern. I had to have faith that when I sent you all the money upfront you would be true to your word and your abilities and I wasn't disappointed. Not to mention I had to send an original stocking that's almost 30 years old. I am so excited to see their faces when they get these on Christmas and include them in the family. Thank you so much. If I ever need anything again I'll be sure to contact you." For this stocking I used a pattern that Theodore's grandmother had used to make his family's original stockings. ​When Theodore's dad received the new one he wrote: "We got the stocking yesterday in the mail. It looks awesome. Great Job! If we need any more in the future we will be in touch." This was a special project for Sharon (Tom's wife) whose mother passed away before she could finish Tom's stocking (she'd worked from the top down through the middle of the picture of the children). I took up the work and finished it for their family. She was thrilled when she received the stocking, and how closely my work matched her mother's. When Michael received the stockings for Avery and Ainsley he wrote, "They are absolutely gorgeous!! Thank you..!!! There may be more grandkids in the future. Hopefully u will be available. They are stunning. Especially the Santa fuzzy face." Based on the knit tank from Miu Miu’s fall 2014 collection, which I designed for her based on the photographs. Paula wanted something shorter and more fitted, but still with the same cabled look as the original. 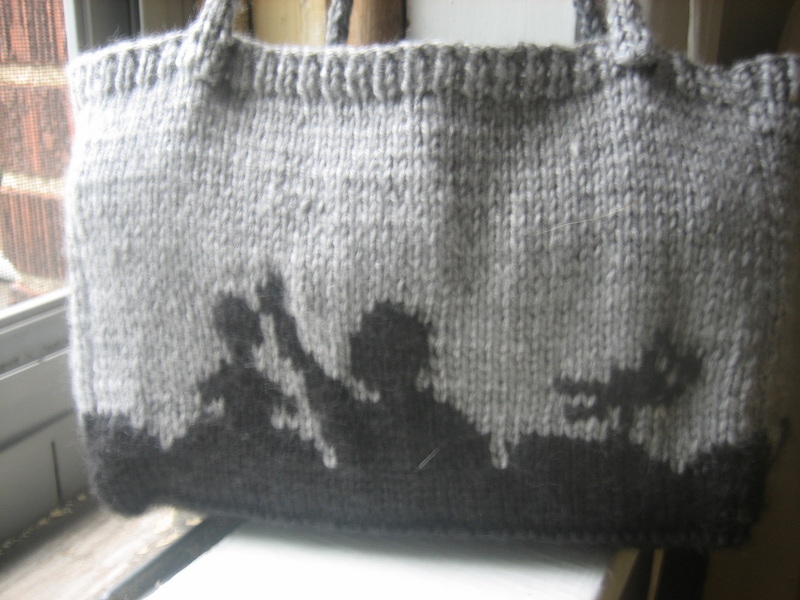 When she received it she wrote: "I just received the sweater and wow it is beautiful! 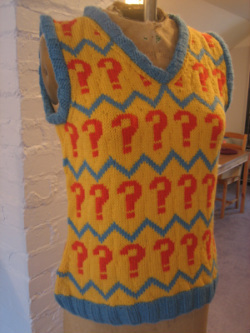 You knit SOOOO nice. The fit is perfect... you are such a great knitter. Thank you for such a great job!" Kate contacted me and said she was interested in having a scarlet red scarf made, with a large white letter "H" at each end. "The initials are H.H. and I thought it would look great to have one "H" at each end of the scarf." "the scarf arrived and was more perfect than we could have imagined! I had never seen a handmade scarf look so even and absolutely perfect. I tried to learn recently but I don't ever think I will ever ever ever be able to someday get anywhere near that look- but WOW, he loved loved loved it and we all were blown away. " 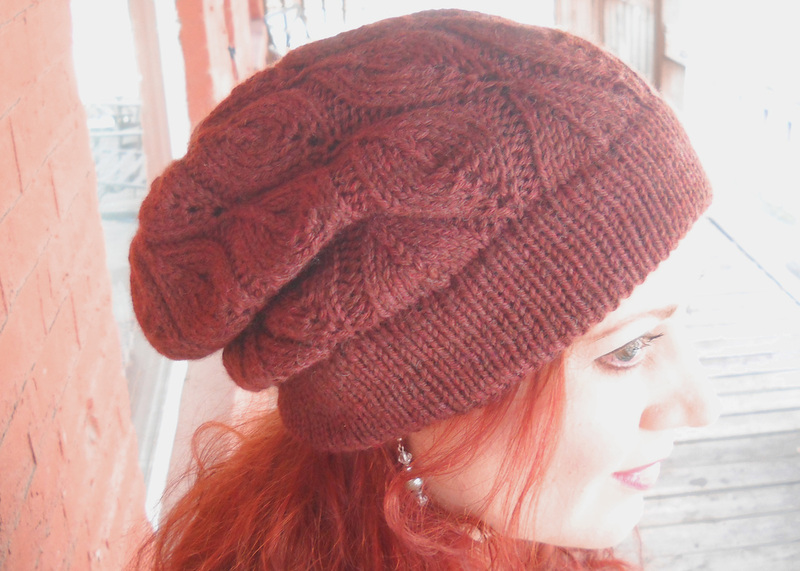 Ari was looking for a slouchy hat, and we both fell in love with this candle flame lace pattern. Custom designed for Anissa, who was looking for a Doctor Who cos-play tie in. In creating the overall design I was careful to fit her measurements exactly, as well as evenly space the motif. Steeking was the key to success with this one-of-a-kind. Using the silhouette of the early Mystery Science Theater 3000 logo, this bento bag turned into a perfect lunchtime funtime. 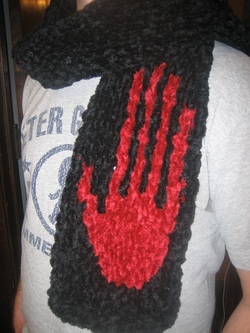 With a nod to what is arguably the best MST3K episode, this intarsia scarf was designed using a chart based on the iconic "Manos, Hands of Fate." 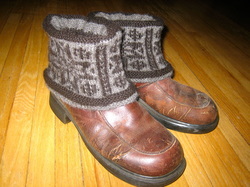 This cozy, unisex boot cuff that incorporates a classic Norwegian Star motif was a Christmas present for my uncle. As soon as he opened it, my brother requested a pair. 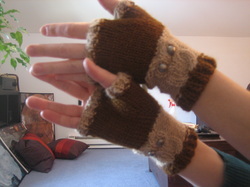 Ariel loved the owl cable chart, and wanted them featured on a pair of fingerless mitts. We worked together to get every detail of these mitts just what she was looking for! 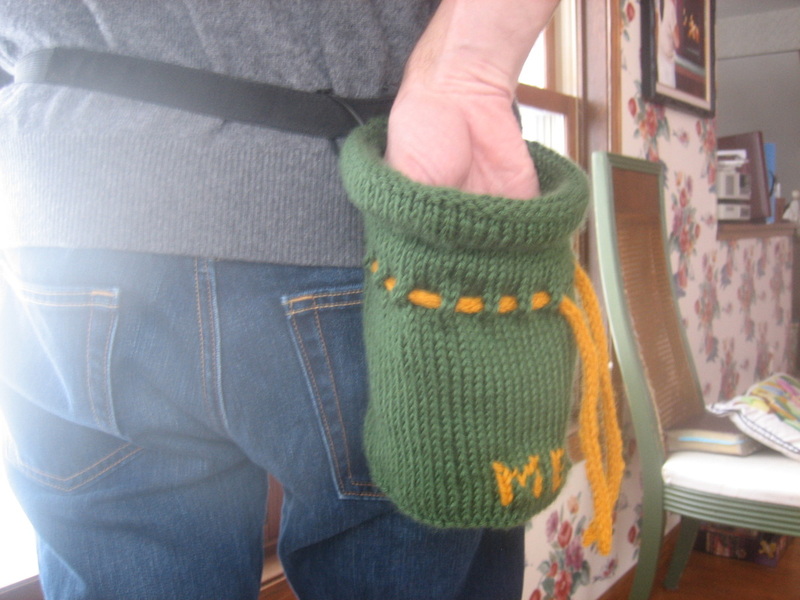 A custom design for my rock-climbing brother, this bag stays open, draws close, and keeps the chalk inside with a fleece lining. 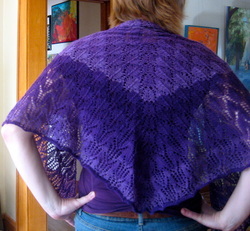 I worked with Julia to test out the pattern for her first charted triangle shawl. Contact me at carinknits at gmail dot com for a quote.